A. To encourage and promote quality in the breeding of purebred Boxers and to do all possible to bring their natural qualities to perfection. B. To urge members and breeders to accept the standard of the breed, as approved by the American Kennel Club and the parent breed club, the American Boxer Club, as the only standard of excellence by which the Boxer shall be judged. C. To support shows and obedience trials and to maintain a program of awards which will encourage sportsmanlike competition, protect and advance the interest of the breed. D. To conduct licensed specialty shows, obedience trials, agility trials and any other sanctioned events for our breed under the rules and regulations of the American Kennel Club. E. To initiate educational programs and promotional activities which will stimulate and extend public interest in the Boxer. 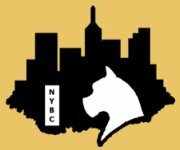 F. For members of the NEW YORK BOXER CLUB, INC. to abide by those portions of the American Boxer Club By-Laws and Code of Ethics which are applicable to members of member clubs.